Use Cointruce's merchant tools to accept bitcoin payments on Sendroid Ultimate from customers around the world! Receive settlement in BTC or in your own currency, with zero price volatility or risk. Plug-and-Play Bitcoin payment solutions designed for internet business. 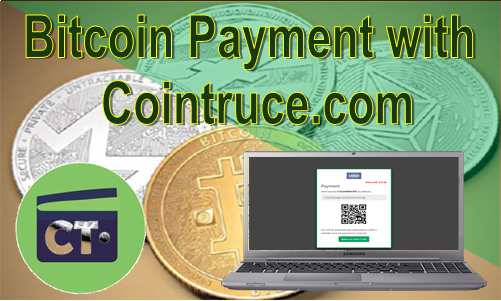 Cointruce offer you easy to use solution to receive payments in BTC from your customers on your websites and receive funds straight to your bitcoin wallet or your local currency. Your money remains complete even in the midst of Cryto-market volatility. Cointruce is designed to take your business globally. Sign up now to experience the power of Bitcoin payments services.